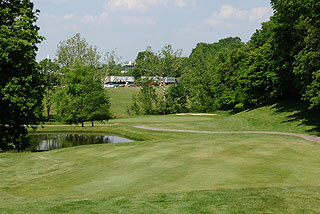 Located in Florence, KY just south of Cincinnati, Boone Links is the home of the Northern Kentucky Golf Hall of Fame. There are 27 holes - an 18 hole championship course, and another 9 hole short yardage course leading through residential suburbs. This nine hole layout can be configured in with either of the other nines, in effect affording golfers an opportunity to play three distinctive 18-hole layouts. 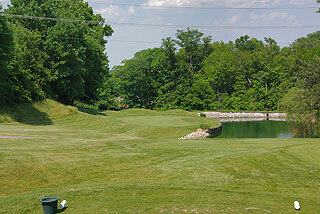 There is a total of only 38 sand bunkers, and water comes into play on 14 of the 27 holes. 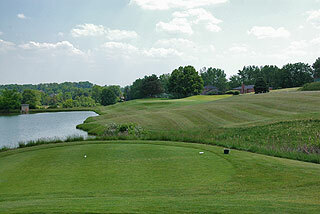 There are four sets of tee boxes on each hole on the Brookview and Lakeview nines, and three sets on Ridgeview. 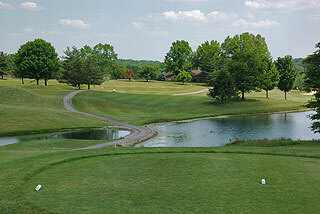 The Brookview nine measures 3327, 3135, 2671 and 2857 - Lakeview plays to 3397, 3169, 2919, and 2836, and the Ridgeview 2713, 2423, and 1913 yards. 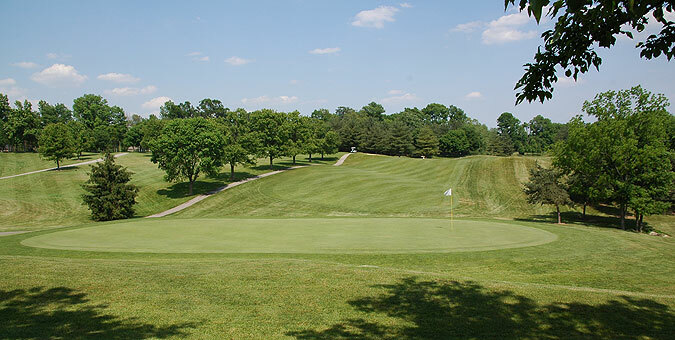 The Brookview & Lake layout is the most challenging of the three - with combinations playing to slopes measuring between 132 and 145. 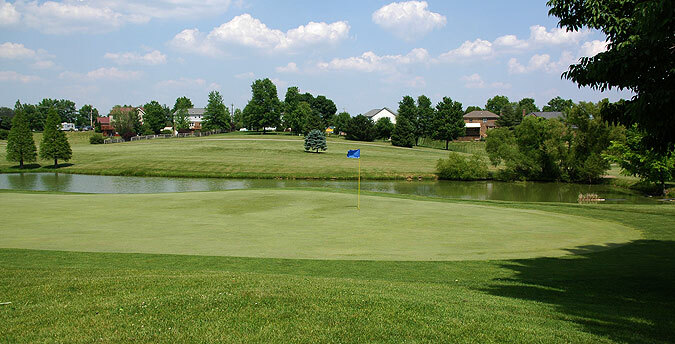 Off the tees golfers will find open landing zones on the Brookview, while the Lakeview has more dog legs and tighter fairways, and Ridgeview is wooded throughout- short yet challenging. 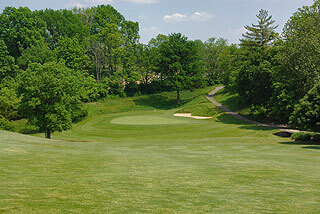 The topography on the first 18 holes is rather mounded, as the short nine is full of extreme elevation change. The par five 11th hole stands out as a double dog leg which curves left past the landing area, then turns right toward the hole on the approach. On course tee boxes are marked, sprinkler heads are measured to the center of the green, and cart paths have markings at 100, 150 and 200 yards. 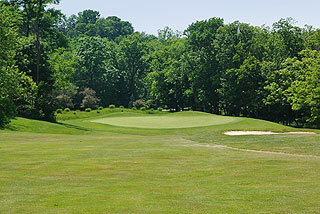 There are 150 yard stakes in the center of the fairways on all par fours and fives. Front, middle and back pin placements at Boone Links are determined on the approach by red, white and blue flags on all greens. On property there is a clubhouse which features a pro shop, snack bar, and a banquet area which can hold up to 160 people. 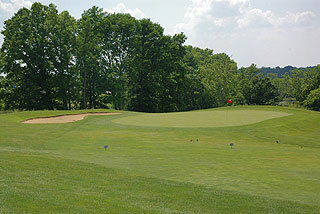 The practice area consists of a putting and a chipping green. The photos for this review were taken from the Lake & Ridge nines. 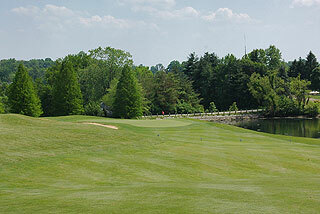 For an enjoyable round of golf, we encourage you to visit Boone Links and play all 27 holes for the full experience. For more info, visit our detailed listing page for the course with a direct link to their website by clicking here.